The Society of Surgical Oncology is a dynamic global community of cancer surgeons shaping advancements in the profession to deliver the highest quality surgical care for cancer patients. 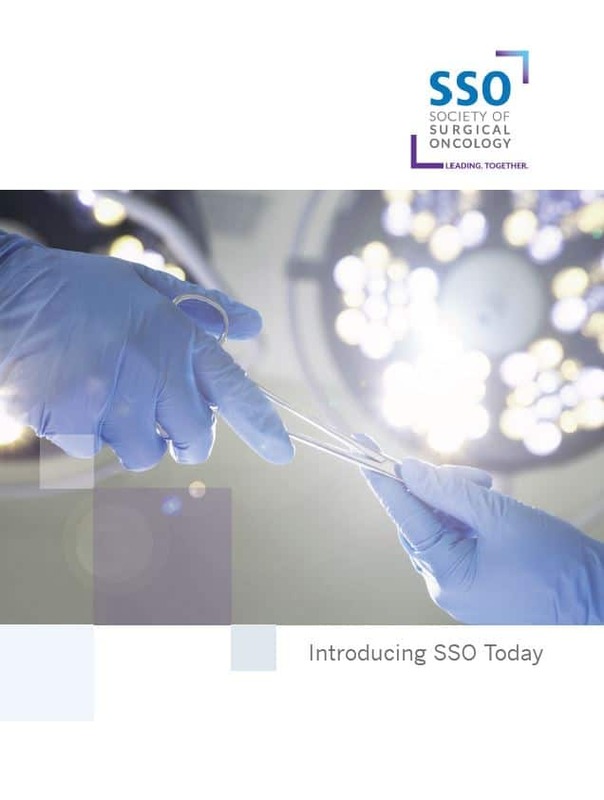 SSO promotes leading-edge research, quality standards and knowledge exchange connecting cancer surgeons worldwide to continuously improve cancer outcomes. Our highly regarded educational events and resources inspire members and spur each cancer surgeon to grow, improve and thrive. This is the promise we make to our members, supporters, partners and representatives across the healthcare profession. Our members in 70 countries embrace the values that have enabled cancer surgeons to continually expand their knowledge, refine their decision-making skills and drive better outcomes for patients. SSO’s new brand continues to stress our leadership strengths while promoting our open, inclusive and forward-thinking culture. We use the words “Leading. Together.” to reflect our position as THE organization leading the surgical oncology profession as well as our continual efforts to lead members to increasing levels of achievement and excellence. It also highlights the vitality of our global community of cancer surgeons and our collective approach to new programs, new research, new solutions and new advancements.